Ahead of this year's WSOP Main Event final table, the organisers have put together a short video filled with selfies, chanting and Scooby Doo. Designed to create some hype ahead of the big money showdown, the 1.11 minute piece features the vocal talents of American Authors and features a mixture of images and behind-the-scenes comments from the November Nine. Whether or not the video will generate the same amount of interest that previous Main Event final tables have seen is unclear, but with more TV coverage promised and other ideas in the pipeline we could yet get some more interesting content in the coming weeks. 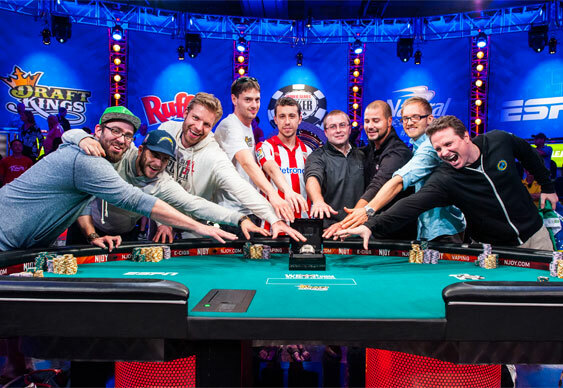 For more on this year's WSOP Main Event finalists, check out our November Nine preview.